Do you love big rocks? 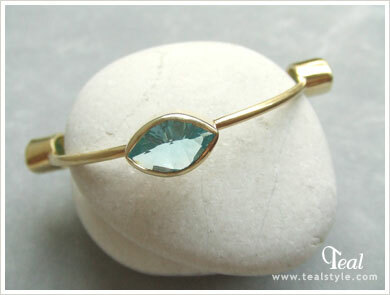 The Neiva light blue hydrothermal quartz vermeil bangle is meant for you! Perfect for stacking or on its own, the Neiva bangle will add a real punch to any outfit. Purchase any two Neiva pieces to receive 25% off the second piece. Only one piece per color available.